DJ Snake and rapper Lil Jon are facing a major lawsuit for their hit single, 'Turn Down For What'. 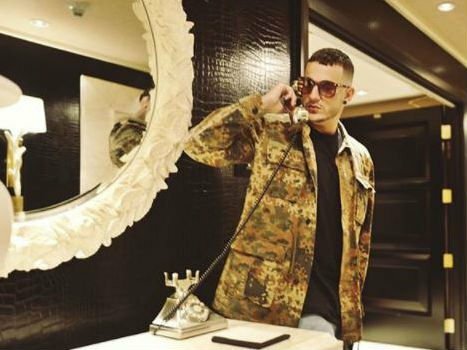 DJ Snake and Lil Jon's collaboration, 'Turn Down For What', was a mega hit in 2013, but three-and-a-half years later the track is making headlines for all the wrong reasons. Rapper Freddie GZ is suing the pair for copyright violation. He claims they ripped off his single, also named 'Turn Down For What'. Freddie GZ released the track several months before DJ Snake and Lil Jon dropped their version in December 2013. "The striking similarity between the Original Work and the Infringing Works... when paired together with the timeline of events cannot be a coincidence," the lawsuit reads. Freddie means business, and has hired lawyer Richard Busch to take on his case. Richard represented Marvin Gaye's family in their lawsuit against Robin Thicke and Pharrell Williams over their number one hit, 'Blurred Lines'. The family successfully proved that the track was similar to Marvin Gaye's 'Got to Give it Up' , and the musicians were forced to fork out millions. It's not looking good for DJ Snake and Lil Jon. Many people believe their single is similar to Freddie's track. But it is not all bad news for DJ Snake. His collaboration with Justin Bieber, 'Let Me Love You', continues to soar up the charts around the world, including here in SA. The song is currently number 29 on the Coca-Cola Top 40 chart. Listen to both versions of 'Turn Down For What', and let us know if you think they are similar.